Are you looking for an award to highlight your words of recognition? 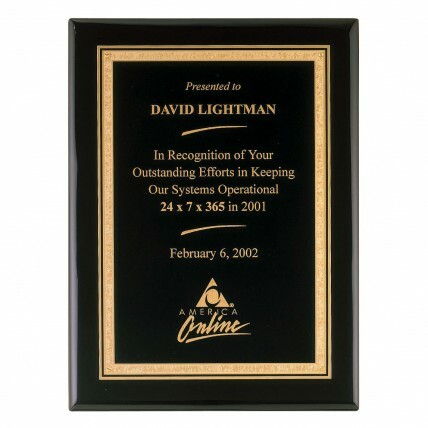 The Highlighted Gold Border Black Plaque is for you! 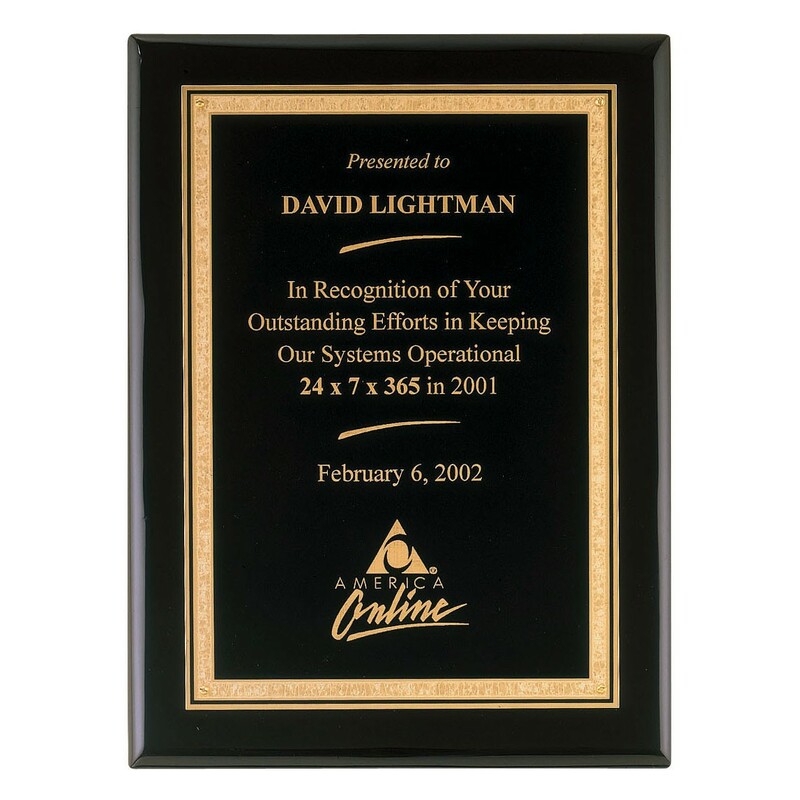 This elegant award features a Florentine bordered black brass plate affixed to a solid black wood plaque. Your text and logos will be engraved in gold to match the bordering. You choose from 4 available sizes: 7x9, 8x10, 9x12, and 11x14. 7x9: 9", 8x10: 10", 9x12: 12", 11x14: 14"
7x9: 5.25"x 7.25", 8x10: 6"x8", 9x12: 7"x10", 11x14: 8.75"x11.75"